"Paper & Fire", featuring the work of Elaine Lierly Jones, Gardner, and Jennifer Mettlen Nolan, Dodge City, opens at the Lincoln Art Center Friday, May 12 from 5:30 - 7:30, with a gallery walk at 6:15. This exhibit runs through June 30, 2017. LINCOLN – “Paper & Fire”, featuring the work of Elaine Lierly Jones, Gardner, and Jennifer Mettlen Nolan, Dodge City, opens at the Lincoln Art Center Friday, May 12 from 5:30 – 7:30, with a gallery walk at 6:15. This exhibit runs through June 30, 2017. Elaine Lierly Jones studied at Kansas University and Fort Hays State University where she earned a BA in art therapy. 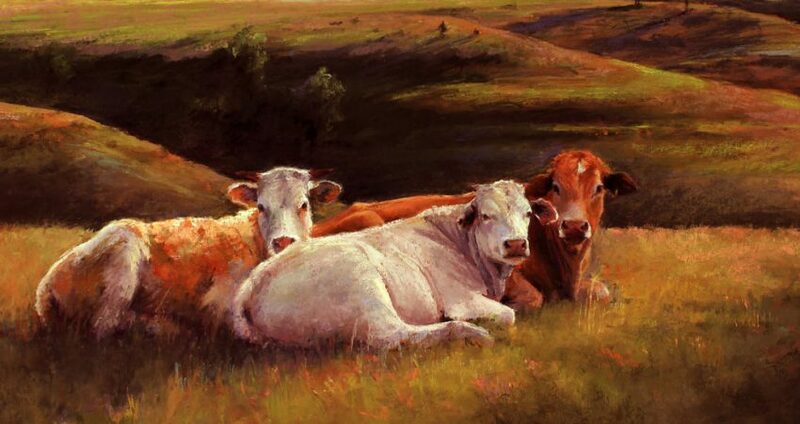 In 2000, after going to an open studio event in Kansas City , joined a local art group and started taking workshops in pastels. She says is was love at first “touch” and began taking classes in 2001. Jones has won awards at the AWA National Juried Exhibition in Scottsdale, AZ. She won the Grand Prize in the Pastel Journal Magazine’s 14th Annual Pastel 100 competition, 1st Place and Honorable Mention in this juried competition. She has memberships in MidAmerica Pastel Society, Pastel Society of America, American Women Artists and Missouri Valley Impressionists Society. Jennifer Mettlen Nolan grew up on a farm near Sylvan Grove, Kansas. She earned her Bachelor’s of Fine Arts degree with her certification in Art Education and her Masters of Fine Arts degree from Fort Hays State University under Linda Ganstrom. She is currently an Assistant Professor of Art at Dodge City Community College. Nolan works in lampworked glass jewelry and ceramics. 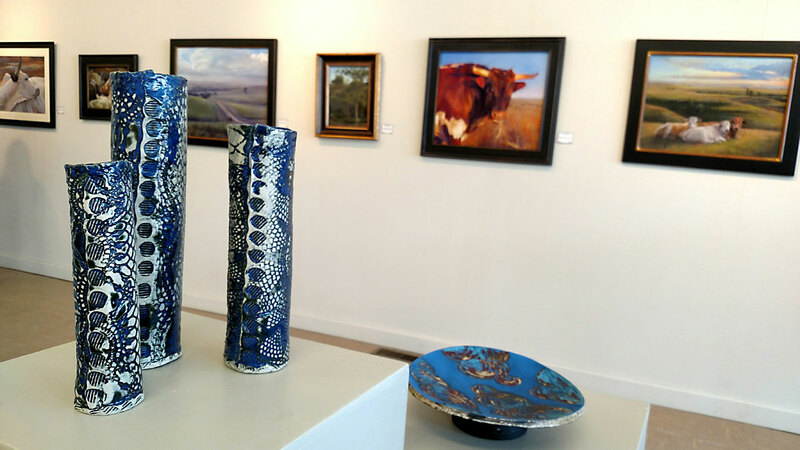 Recent exhibits include the Baker Arts Center’s 11th National Juried Art Exhibition and Orton Cone Box Traveling Exhibition. Jennifer is a recent recipient of a Fulbright Scholarship to study multiculturalisn in Syria and Turkey. Professional musicians from Omaha, Craig Balderston and Wayne Brekke, are visiting Lincoln and will participate in the music jam Sat. Feb. 25th, 2017 from 1 to 4 pm, at the Lincoln Art Center. Don't miss the opportunity to listen to or play along with these exceptional musicians!